Steve Saunders Goldwing Forums > Forums > Reference and FAQ Forum > 1987 GL1200 Fuel Petcock - I Found a Rebuild Kit ! ! ! The first picture shows the contents of the ATV petcock rebuild kit. The second picture shows original 87 petcock gasket and the replacement petcock gasket that comes with the ATV petcock kit. As you can see, the OD of the original gasket (on the left) is slightly larger than the replacement gasket (on the right). But, the 4 holes are exactly the same size and the same distance apart, so it fits perfectly inside the petcock body. 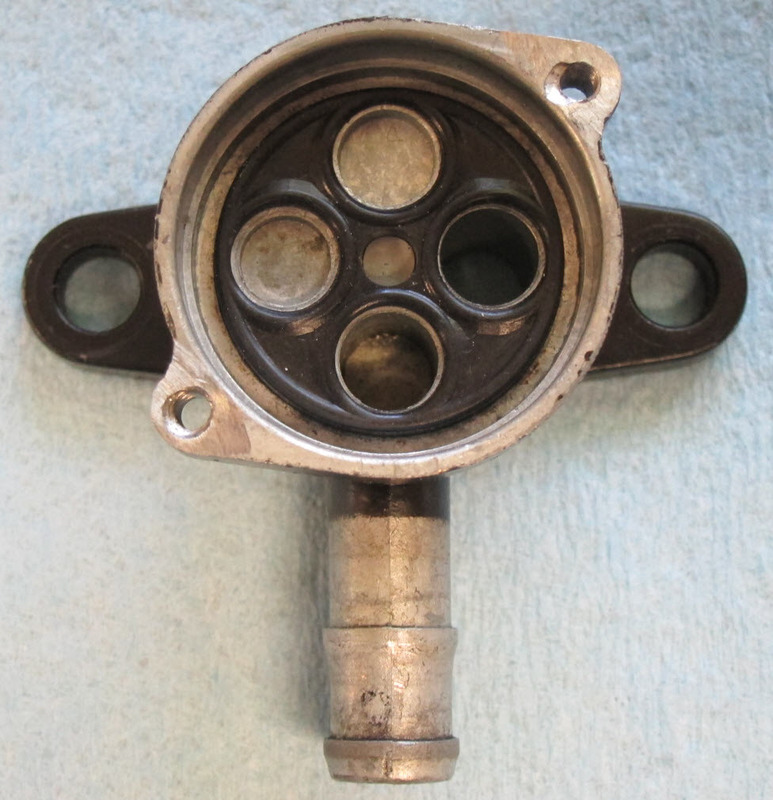 The third picture shows the original 87 GL1200 gasket in the petcock body. 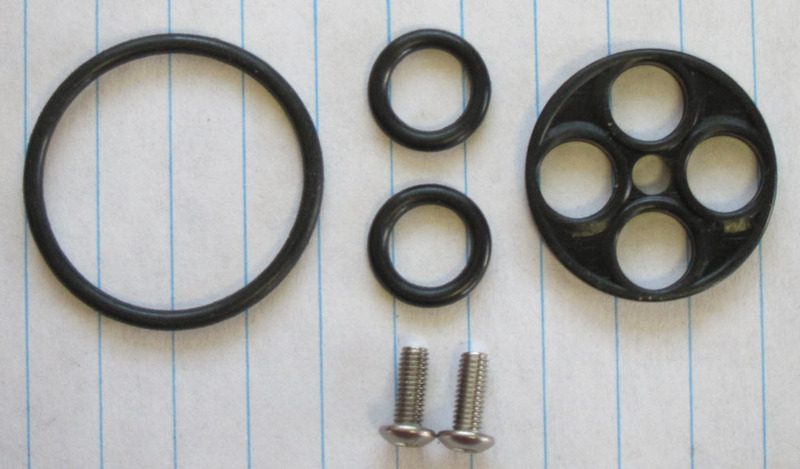 The fourth picture shows the ATV replacement gasket installed in the 87 GL1200 petcock body. As you can see, it fits right on the four holes. It doesn't extend to the full ID of the petcock body, but it doesn't need to. It is held very firmly in place by the raised edges around the four hole towers in the body, and the sealing surfaces line up perfectly with the sealing surfaces on the bottom of the top piece of the valve body (the part with the lever on it that you use to turn the valve on and off). So, you now have a kit you can use to rebuild your leaky 87 GL1200 fuel petcock! NOTE: The 87 GL1200 fuel petcock was not meant to be rebuilt and is assembled with rivets not screws. So, yes, you have to drill out the rivets that hold the fuel petcock together to get it apart and then drill and tap the holes for the screws that come with the kit, but that is not that hard to do. now we have it nailed down solid. this is too important to loose to an image host we have no control over.